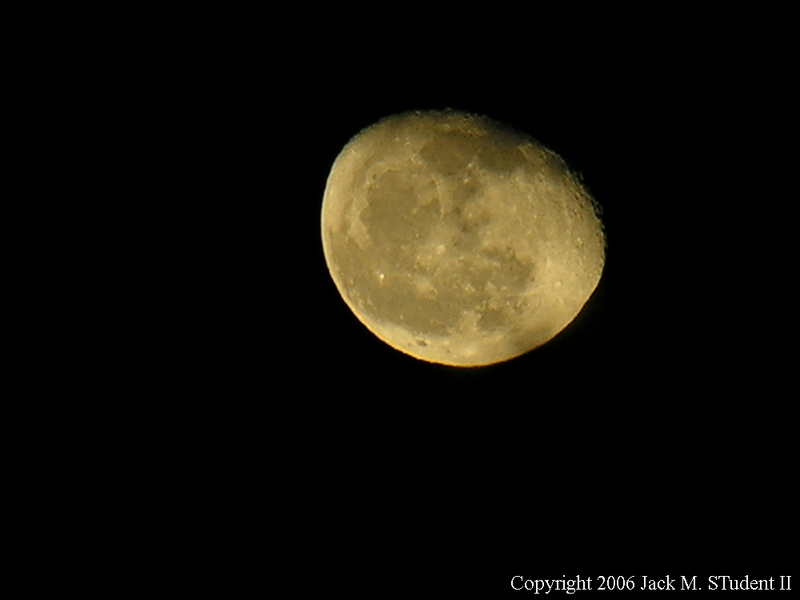 I took this last night using my Nikon coolpix 8800. I was not expecting anything to come out but I loved the image and had to share it. Please be honest as I need to learn. Any feedback will not upset me only make me a better photographer! i think it is very good one.. did you try to add bit more of contrast?.. just to try..
what i would criticize is the big size of your signature .. coz it distracts.. maybe use not white but other colour less bright?.. ok, you ask for critics and here they went... but main is it is a good photo and i like it! Thank you very much! I will give it a try and will check the contrast. and repost the image with a very small name on it! Nice moon shot, good details and tone, well captured !